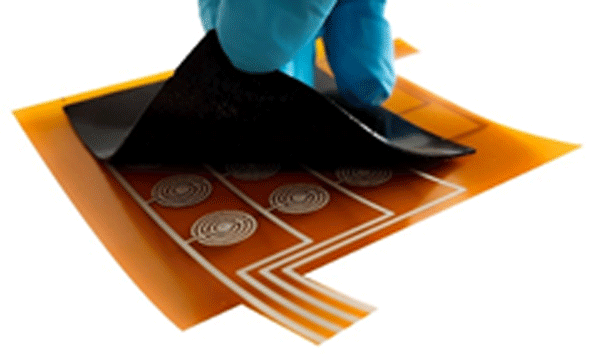 An advanced-material-based thin, flexible sensor mat has been synthesized to record and visualize both the position and pressure of applied load. Such a pressure measurement system bears great potential in human health monitoring applications like long-term patient monitoring mattresses or insoles for gait monitoring. To promote WSNs for IoT, energy consumption must be reduced to enable more applications. The power need by a sensor node is governed by the radio component. A wake-up receiver is an ultra-low-power radio receiver. It serves for idle listening whilst leaving the node in sleep state. The main research focus of WuRxs is to reduce energy usage and to improve sensitivity. In this work, active components are carefully used to construct a 7.5 µW WuRx with −60 dBm sensitivity and a latency of 10 ms. 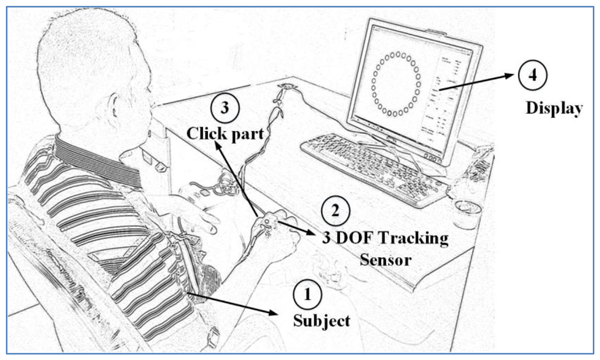 This paper examines the new study of hand orientation as a substitute for computer-mouse movement and is evaluated based on ISO/TS 9241 part 411:Ergonomics of human–system interaction. Two pairs of hand-orientation candidates were evaluated, pitch–roll and pitch–yaw, to substitute up–down and left–right mouse-cursor movements. The empirical findings in this study provide a new suggestion for a suitable level of difficulty when using an inertial sensor to emulate the movement of a mouse cursor. Soft pressure sensors fabricated by means of carbon-based material and polymers have the potential to sense pressure starting from 2 g to 18 kg. Such pressure sensors also exhibit high sensitivity, high durability, easy integration and long-term stability. These sensors can be integrated into robotic parts like fingers and feet to monitor the grasping force and the gait of the robot respectively.